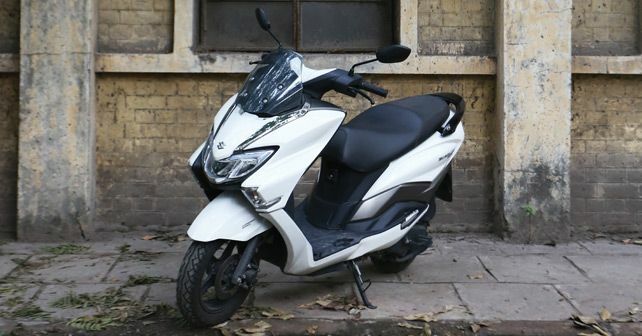 A lot has been written about the Suzuki Burgman’s design, but I can’t emphasis enough on this maxi scooter’s comfortable seat and the stress free riding position. You can also do long communtes on the Burgman comfortably for it offers more than adequate back support, which most scooters lack. The Burgman has the widest and the most cushioned seat in the scooter segment, which ensures cruising to be a relaxed experience. The Burgman’s riding stance is quite unique as it’s similar to a cruiser. With low positioned handlebars and a large footboard, I could stretch my legs and ride at ease. For taller riders, this riding position can be slightly cramped as the handlebar would end up touching the knees, especially while taking a U-turn. Another stand out feature of the Burgman is its balanced suspension set up, which easily carpets potholes without affecting the ride quality. It’s safe to say the Burgman is the king of comfort when it comes to the world of scooters.